Apparently savory scones are more popular than I once thought. 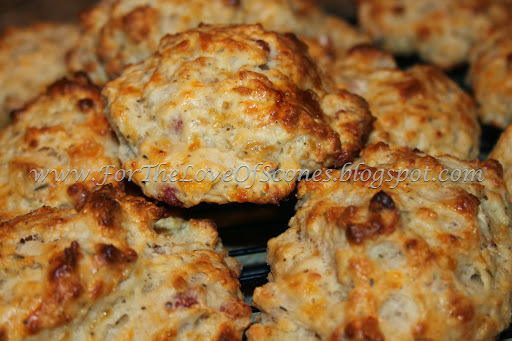 After my bacon cheddar chive scones, I’ve been getting more requests for savory scones from Hubby’s workplace. Since I rarely foray into savory scones, I have no issue with this challenge. 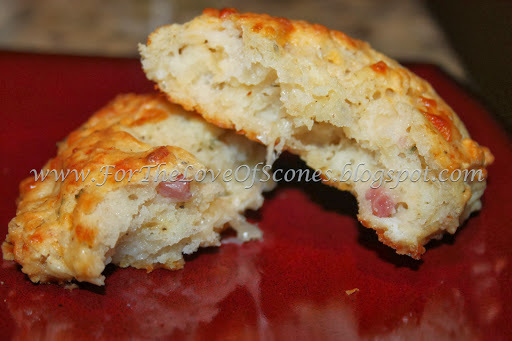 Savory scones are much like American biscuits, and can accompany a host of meals. 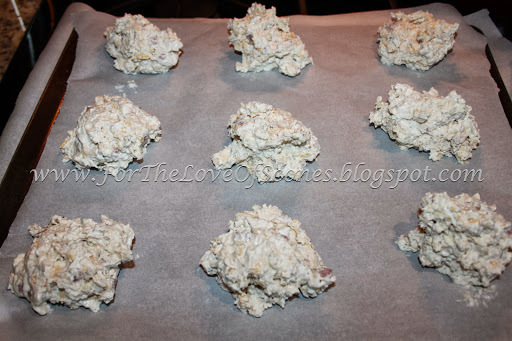 This scone recipe is especially tasty with a chicken or beef salad, as well as a rich cream-based soup. Because Prosciutto is expensive, I added only a moderate amount, but add as much as you’d like. If you add much more, you might consider reducing the amount of salt in the recipe, as Prosciutto can be salty. 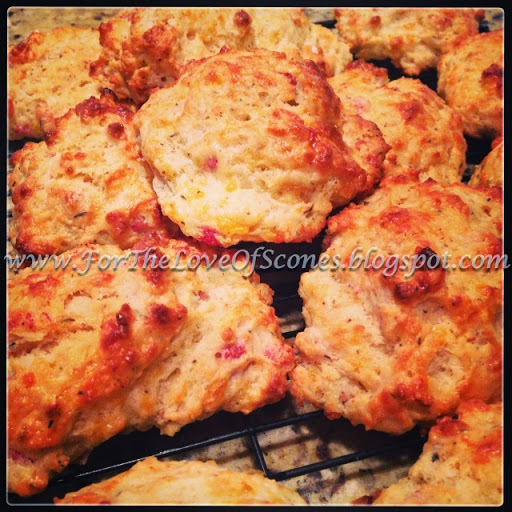 Experiment, and enjoy these cheesy scones! 1. Preheat the oven to 425ºF. Combine flour, salt, pepper, thyme, cayenne pepper, and baking powder. Whisk to combine. 2. 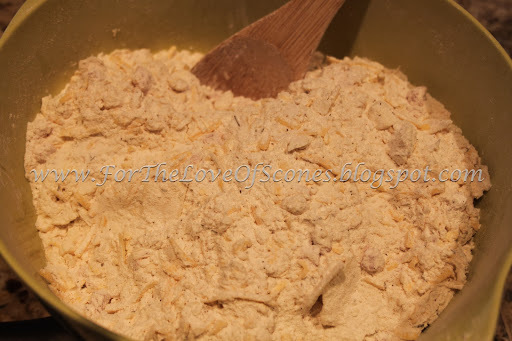 Add cold, diced butter and combine with a pastry blender until the mixture resembles coarse sand. 3. 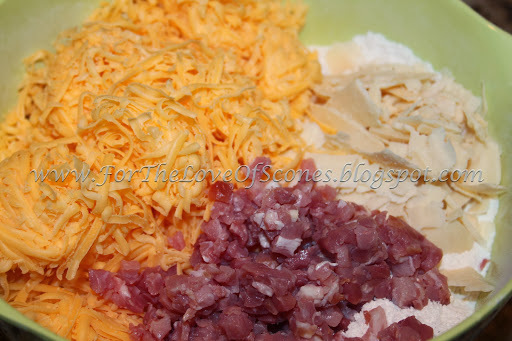 Add cheddar, Parmesan, and Prosciutto and mix well with a wooden spoon. 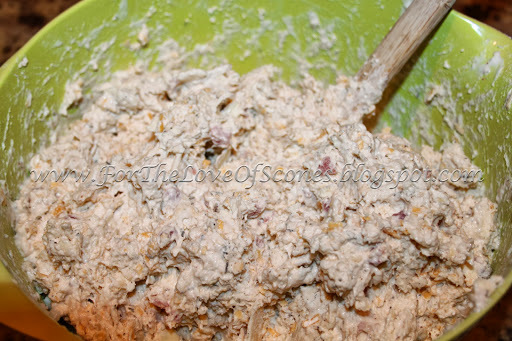 Break up any chunks of Prosciutto or cheese with your fingers and use the spoon to mix. 4. 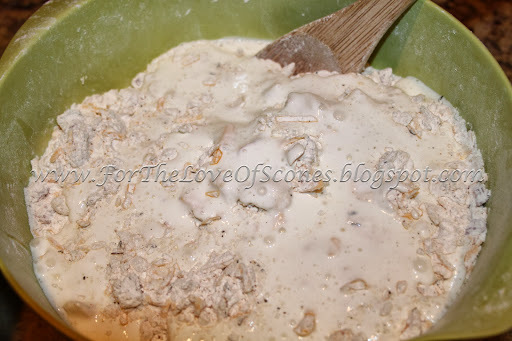 In a small bowl, combine the buttermilk and sour cream. 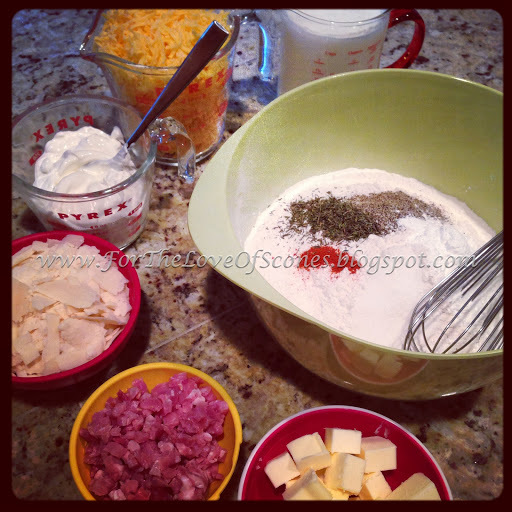 Whisk to mix out any lumps. 5. 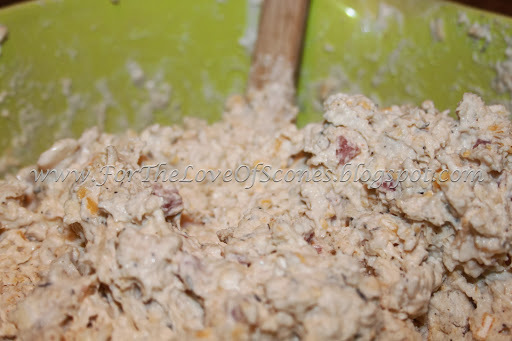 Drizzle the buttermilk mixture over the flour, cheese, and Prosciutto mixture and combine with the wooden spoon. 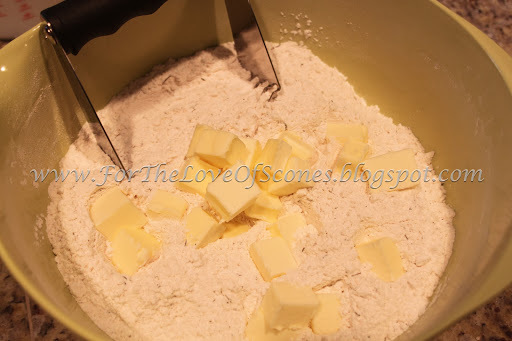 Continue adding buttermilk in small amounts until you have a slightly sticky dough. 6. Using a small scoop or a large spoon, form scones that are about 1/4- to 1/3-cup in size. Smaller scones will bake a little faster. 7. If you are using the egg glaze, whisk the eggs and water together lightly. Brush thoroughly on top of each scone. 8. Bake at 425ºF for about 15-20 minutes, or until a deep gold on top. 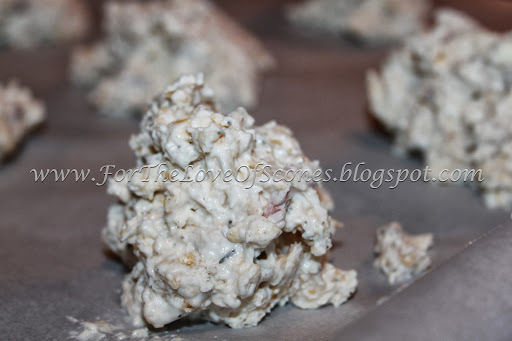 Remove from heat and serve warm or allow to cool completely before serving. Measure out all ingredients beforehand. It makes things so simple! Chopped Prosciutto, found in the deli section at the local grocery store. 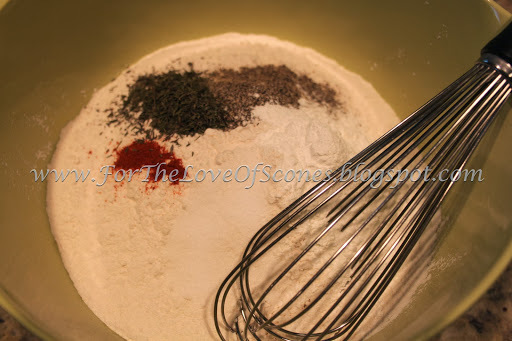 Whisk together the spices, salt, baking powder, and flour. Add the cold, chopped butter and blend in with a pastry blender. 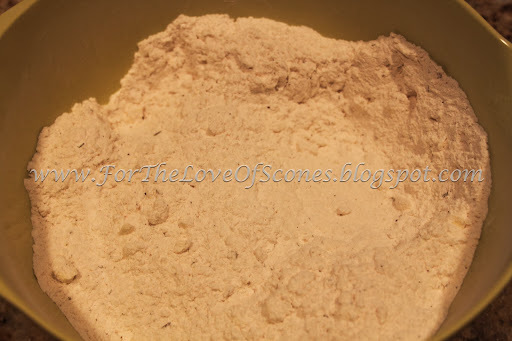 Your flour-butter mixture should resemble coarse crumbs after the butter is worked in. Now add the Prosciutto, cheddar and Parmesan. 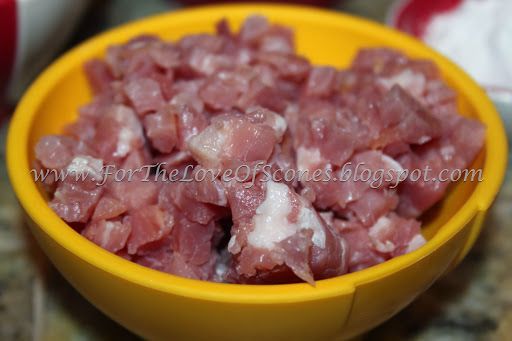 breaking up any clumps of cheese or meat with your fingertips. 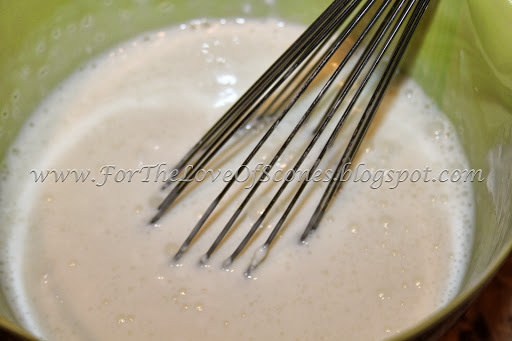 Before adding the liquid, whisk the sour cream together with the buttermilk. adding a bit, working it in, then adding more, until the dough is sticky. simply turn out onto a well-floured countertop later. or turn out onto the countertop. 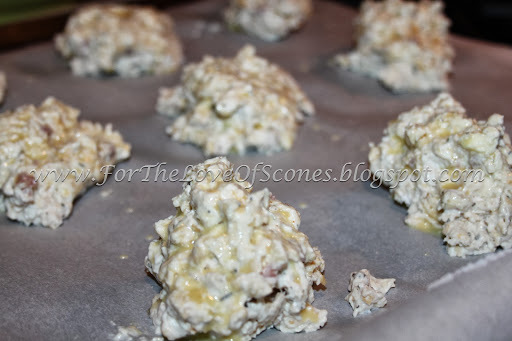 Spoon out the dough in 1/4- to 1/3-cup increments to form your scones. Spoon out onto a parchment-lined baking sheet, a few inches apart. Brush with the egg glaze before placing in the oven. And get a fluffy, cheesy, meaty result! These were a wild success. There is plenty of cheese and just enough meat to be meaty. If you’re a true carnivore, you could double the meat safely. As they are, they are a savory breakfasty scone.